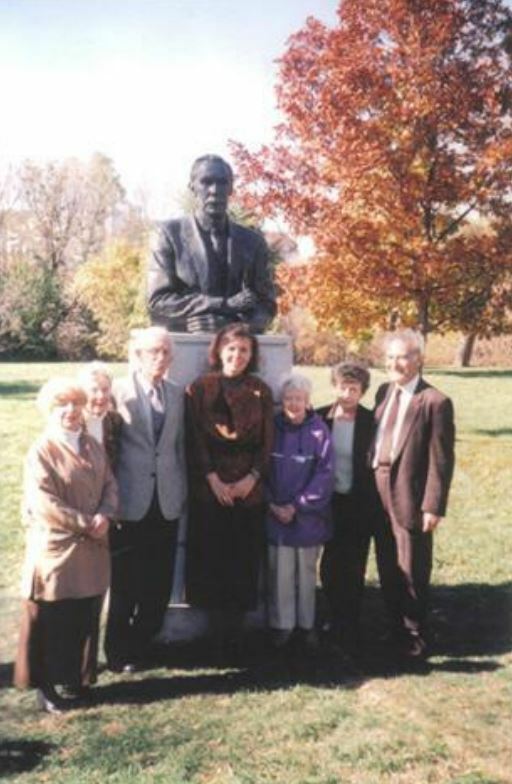 The North York Historical Society has sponsored two of Adrienne Alison’s realist bronzes: C. W. Jefferys, Canada’s foremost historical artist, is located in the park at Mill Street, east of the Miller Tavern, and Robert Gourlay, a social reformer, is in St. James Park, King Street East, between Church & Jarvis. 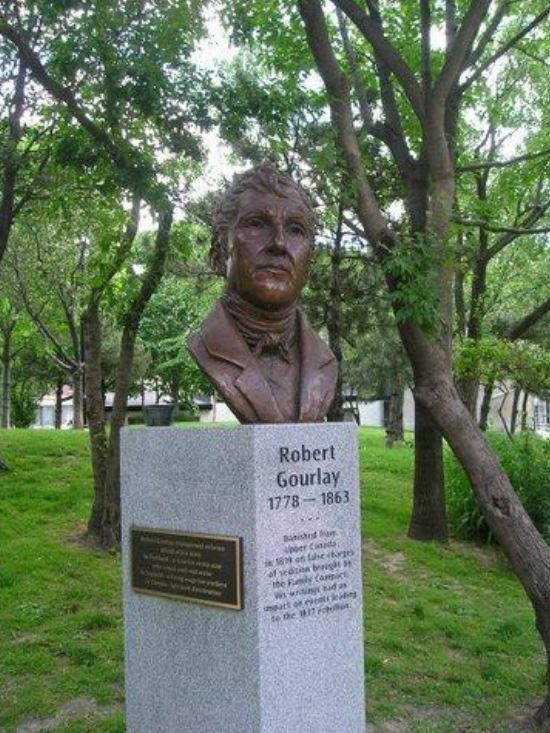 Others in Toronto are Bishop Strachan at Trinity College at the University of Toronto and James Beaty, proprietor of The Leader, a Toronto 19th century newspaper, and a former mayor of the city, in the courtyard at King and Jarvis. Adrienne Alison has been awarded the commission for a monument to the War of 1812. According to the National Capital Commission, the monument will sit near the East Mall on Parliament Hill and will be unveiled September 2014. It will be 3 metres tall and 4 metres long, and include 6 individual male figures in various states of action. The sculptor would like to see the inclusion of at least one woman, and this is still in discussion! Her work is built around an assemblage of figures with space in between including a Métis militia man, a native warrior, a member of the British infantry, a farmer, and a Quebec infantry man. Her process will have her crafting halfmetre tall sculptures of each figure, which then grow to their full height of two metres before being cast in bronze and assembled in unified action on their plinth, which will include a raw chunk of Canadian Shield. With information from Toronto Sculptor Adrienne Alison Creates Monument to War of 1812 by Murray Whyte, Toronto Star, June 27 2013.